A reminder to put your clocks back one hour tonight as we gain “a magic stolen hour” (as Ray Moore once termed it) between 2 and 3 in the morning. 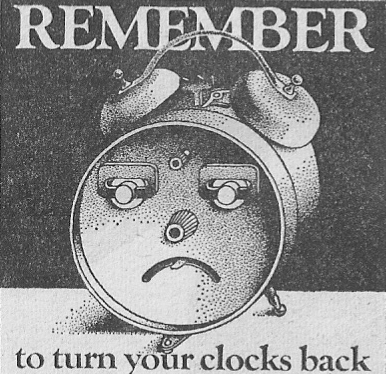 This year’s artwork comes from the Radio Times of 1980 with sad looking alarm clock from Norman Messenger. The death of any long-running drama character is always difficult to handle both for the production team and the listeners. This has challenged The Archers scriptwriters a number of times over the soap’s long history. Many listeners still haven’t forgiven last year’s much publicised rooftop shenanigans of Nigel Pargetter. We also had the recent ‘off-stage’ exit of Phil Archer following the death of actor Norman Painting. But back on this date in 1980 the problem was the deteriorating health of actress Gwen Berryman who played matriarch Doris Archer. Crippled with arthritis she was unable to continue recording the show and so producer Jock Gallagher decided that her character was be written out, dying peacefully at Glebe Cottage. Gwen Berryman herself died three years later. The day before the broadcast Radio 4’s The World this Weekend covered the news from Ambridge in this report by Julia Somerville. Introducing the programme is Gordon Clough. And here's the episode of The Archers from 27 October 1980. I know a number of readers are on the lookout for any John Peel show recordings. I recently came across part of his programme from 23 June 1991. This was a Sunday evening show that went out after Andy Kershaw, hence the “thanks very much Andy” at the beginning. It was also around the time that John Walters retired as his producer. Fun at One – Say Kids, what time is it…? It was nearly The William Rees-Mogg Experience, just in case the guardian of the nation’s morals took legal action. She didn’t. 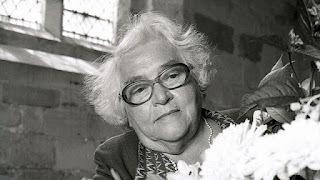 The Mary Whitehouse Experience burst onto the scene in 1989. Spurred on by the success of the stand-up show Hey Rrradio!!! Radio 1 controller Johnny Beerling asked producer Bill Dare to develop a “sharper, more focussed” show. The performers were comedy duos David Baddiel and Rob Newman with Steve Punt and Hugh Dennis. 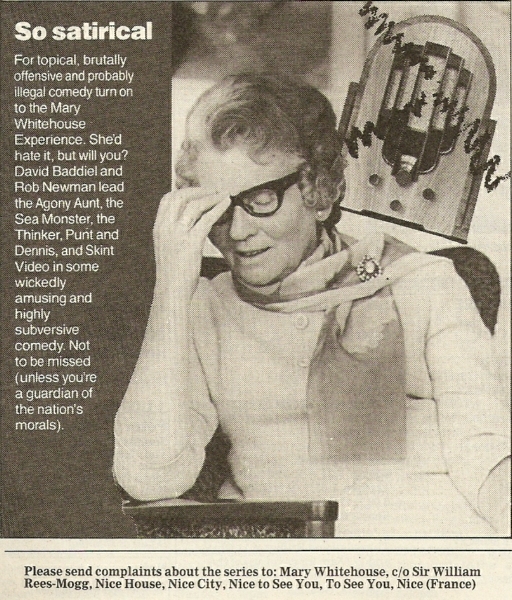 They were joined in series one by Jo Brand (still sometimes billed as The Sea Monster), Mark Thomas and Skint Video. This is the first programme in series one broadcast on 7 April 1989. It went out tucked away at midnight, sandwiched between Tommy Vance’s’ The Friday Rock Show and The Rankin’ Miss P.
Baddiel has yet to fully adopt his acerbic political rants whilst Newman does little more than the odd impression (Shaw Taylor, Melvyn Bragg and Ben Elton). Punt and Dennis do their familiar topical satire shtick that they would later transfer to It’s Been a Bad Week and The Now Show. Read more about The Mary Whitehouse Experience in Tim Worthington’s book Fun at One: TheStory of Radio Comedy at Radio 1. “Radio 1 and comedy are, in general, rarely mentioned in the same breath.” So reads the foreword to Tim Worthington’s new book on the subject, Fun at One. 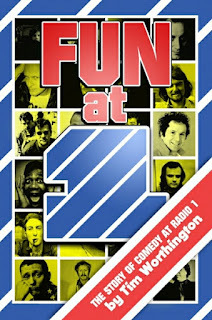 Fun at One demonstrates that there certainly was a rich comedy seam: from the on-air antics of DJs like Jack Jackson, Kenny Everett, Noel Edmonds, Adrian Juste and Steve Wright to something of a golden period in the late 80s and early 90s when, on the back of the alternative comedy boom, you could hear a raft of out and out comedy shows. Worthington’s analysis starts in the Light Programme days and he picks out two influential “edgy, impulsive” shows in particular: I’m Sorry I’ll Read That Again and the little-known David Frost at the Phonograph. 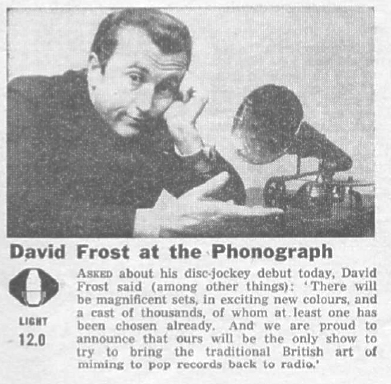 (I’ve not heard Frost’s shows so if any recordings exist please let me know). John Peel’s show provided the springboard for comic talent in Radio 1’s early days - best known being Ivor Cutler and Viv Stanshall - and Peel’s producer John Walters was behind the somewhat surprising comedy outings of one Keith Moon. Another early attempt at mixing music and comedy was Eric Idle’s Radio Five series (surely the inspiration for his later Rutland Weekend Television) which poked gentle fun at radio broadcasting itself. The majority of Fun at One concerns itself with shows transmitted in the period 1989-1994, programmes in the main presented or featuring comedians, many of whom would go onto TV stardom. The roll call includes Victor-Lewis Smith, Chris Morris, Newman and Baddiel, Punt and Dennis, Julian Clary, Harry Hill, Lee and Herring, Armando Iannucci and Nick Hancock. Over the coming weeks I’ll be dipping into my comedy archives to bring you a selection of the shows from this era in Radio 1’s history, starting with The Mary Whitehouse Experience. 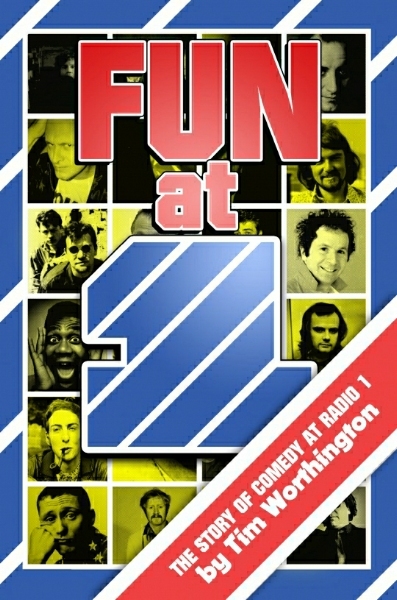 Fun at One: The Story of Comedy at Radio 1 is published by Lulu at £8.99. You can hear Tim Worthington talking to Ben Baker about his book as well as the opportunity to hear some excellent podcasts of clips from many of the shows on the Talk About the Passion blog. Straight off the boat, where to go? This video comes from a performance of the David Letterman show. Today is the Listeners’ Archive amnesty day so if you have any tapes of old programmes that could plug a gap in the BBC’s collection they’d love to hear from you. The project have produced a wish list of some of the shows they’re after. This list includes a number of Light Programme favourites such as Saturday Club, Midday Spin, Housewives’ Choice, Family Favourites, Music While You Work and so on; programmes that ran for years but were not thought worthy, at the time, of keeping. Speaking to Project Manager Will Jackson he told me they’d also like to hear from anyone who kept some of the regular DJ presented shows from Radio 1 and Radio 2. So, for example, whilst there are any number of recordings of Jimmy Young interviewing the Prime Minister of the day there’s little of him doing his daily recipe. A selection of archive clips provided by listeners will feature in a special Radio 2 programme airing on 14 November, the day of the BBC’s 90th. Trevor Dann has been doing the rounds of BBC stations to promote the project. Last month he was on the station where he started his radio career, Radio Nottingham, talking to Mark Dennison. Just this week a very enjoyable chat with Jeremy Vine on Radio 2. And as Jeremy wanted to hear his first show from 2003 I've posted a few minutes from it here. I love a quiz. 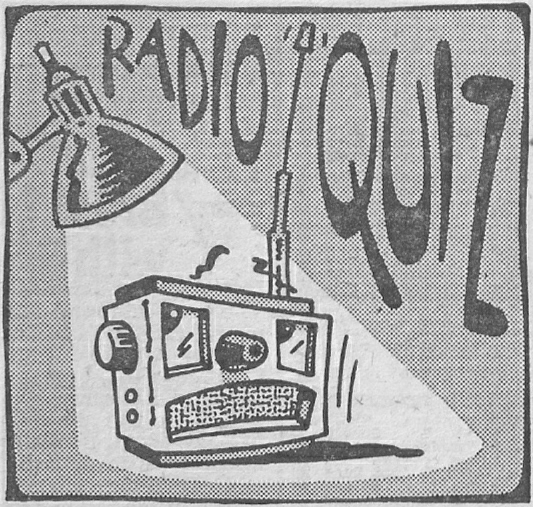 So a quiz about radio, well that’s just up my street. So how about trying this one: The Radio Game. There’s a catch mind, it was broadcast back in 1982 for the BBC’s 60th anniversary so some of the questions … well, let’s just say you’ll need a good knowledge of wartime and post-war radio. Question master Barry Took was asking listeners to write in with their 60 answers. Of course that wouldn’t work these days, everyone would be straight onto the internet. No problem in 1982 of course, so it was a question of memory, asking around or popping down to your local library. 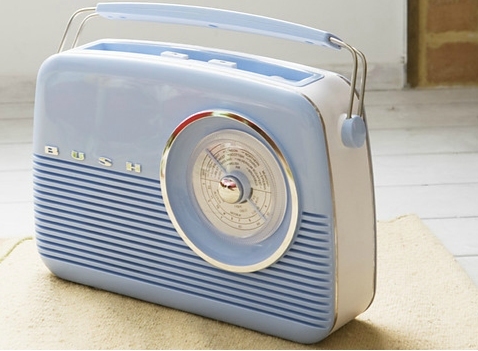 Listen to The Radio Game and see how many questions you can get right WITHOUT resorting to Google, Wikipedia or even the reference books on your shelf. If you’re really keen please email me your answers and I’ll give you a mention on the blog. Sorry no prizes are on offer, just the smug satisfaction that you know your stuff. I’ll post the answers, as revealed by Barry in The Radio Game: All The Answers, on this blog on Monday 12 November in the week of the BBC’s 90th anniversary. So get your thinking caps on. The Radio Game was broadcast on Radio 4 on Sunday 3 October 1982.